Worked as Senior Consultant Nephrologist in various institutes of National and International repute such as Nizam's Institute of Medical Sciences, Hyderabad, Sanjay Gandhi Post Graduate Institute of Medical Sciences, Lucknow etc. , also experienced at division of Nephrology, Department of Medicine, University of Missouri, School of Medicine, Columbia, USA. Vast experience of Renal Transplantation in HIV patients with CKD Stage V.
Vast experience of Renal Transplantations in ABO incompatible patients. Working as Senior Consultant Nephrology, Indraprastha Apollo Hospital, N.Delhi since 23.10.2000. Dr. K.S. Mathur Gold Medal of Agra University for MD (Gen, Medicine) Examination1988. Involved in Clinical Nephrology for last 27 years as out patients / inpatients /emergencies / hemodialysis / CAPD / Renal Tx. Experience of thousands of renal Tx as Nephrologist including cadaveric and live related Tx at various centres such as Nizam's Institute of Medical Sciences, Hyderabad, Sanjay Gandhi Post Graduate Institute of Medical Sciences, Lucknow etc. Involved in CAPD programme actively and presented research work on CAPD in California, USA. Visited many Institutes /Universities nationally / internationally including visiting Assistant Professor of division of nephrology, department of internal medicine, University of Missouri Columbia, USA. Contributed chapters on various topics and many papers in books / journals of international and national repute. Delivered many lectures and chaired sessions in various conferences. Teaching medical graduates and postgraduates for last 30 years. Teacher of DM Nephrology in SGPGI MS, Lucknow for 3 years. Clinical Co-ordinator in Nephrology at Indraprastha Apollo Hospital, New Delhi w.e.f. 2018. Conferred by AHERF and adjunct title of “Professor” w.e.f., 2013. Received academic achievement award for recognition of paper “Impact of Renal Transplantation on psychosocial Status of Human Immuno Deficiency Virus (HIV) positive patients” Award given by Apollo Hospitals Educational on 27th July, 2017 at Indraprastha Apollo Hospitals, New Delhi, India. Reviewer of various Journals including BMJ. Deputed as examiner in Nephrology of various institute like Osmania University Hyderabad & DM Nephrology examination of Nepal University. Best Paper Award, for presentation of paper entitled “Role of serum IgE in Idiopathic Nephrotic Syndrome,” Presented in 26th convention of Indian College of Allergy and Applied Immunology 1992. Best oral presentation award for “Florid renal transplant fungal infection-better outcome with timely intervention” in 2nd International Congress on Transplantation and Kidney Diseases 1998. Awarded Member of the National Academy of Medical Sciences (MAMS) at Jaipur on April 10th, 2004. Dr.B.N.Mishra Oration on “Diagnosis and Treatment of Nephrotic Syndrome.” delivered in Annual Seminar IMA-AMS U.P. Chapter organized by IMA-AMS Agra, on 19th December 2004 held at Agra, U.P. Awarded Fellow Indian Society of Nephrology (FISN) in recognition of Significant Contribution for the advancement of nephrology in the year 2003. Dr. G.S. Sainani & Dr. (Mrs) Pushpa G. Sainani Oration on “Overview on renal transplantation.”and for significant and outstanding contribution towards advancement of Clinical Medicine in India delivered in XIV Annual Conference 2006 organized by IACM of India, on 7th and 8th October 2006 held at Dehradun, U.P. Dr. Chaya Mahesh IMA Hapur Branch Oration on “Medical Management of CKD”and for significant and outstanding contribution towards advancement of Clinical Medicine in India delivered in IMACGP Conference 2016 organized by IMA HapurBranch of India, on 3rd September 2016 held at Hapur, U.P. Awarded fellow American Society of Nephrology (FASN) in recognition to achieved a distinct level of excellence in clinical or investigative nephrology or pathology, ongoing postgraduate education and in providing a continuing service to the society and/or community in the year 2018. Awarded fellow American Society of Nephrology (FASN) in 2018. 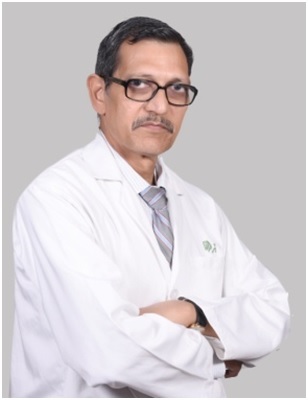 With an experience of 22 years in the domain of Nephrology including specialization in Renal Transplant, hemodialysis, CAPD and all kidney related ailments along with critical kidney patients with emergency management, Dr. D. K. Agarwal is one of the most eminent doctors in Delhi-NCR. He has done MBBS, MD (Medicine) from School of Medicine, Columbia, USA, DM, DNB (Nephrology), MAMS (Nephrology), FICP, FISN from University of Missouri along with work experiences in many National and International institutes including Nizam's Institute of Medical Sciences, Hyderabad, Sanjay Gandhi Post Graduate Institute of Medical Sciences, Lucknow etc. He has been bestowed with many prestigious awards which include Member of the National Academy of Medical Sciences (MAMS) at Jaipur on April 10th, 2004 and Fellow Indian Society of Nephrology (FISN) in recognition of Significant Contribution for the advancement of nephrology in the year 2003. Apart from being a doctor, Dr. D K Agarwal has also written 59 books (National and International both) and contributed to many textbooks, journals, and papers. He has also delivered several of lectures and chaired sessions at various conferences and been bestowed with the best oral presentation award for “Florid renal transplant fungal infection-better outcome with timely intervention” in 2nd International Congress on Transplantation and Kidney Diseases 1998. With the team of efficient doctors and nurses, Dr. D K Agarwal is successfully treating his patients suffering from kidney related issues, and providing utmost treatments to cure. He is currently working as a Senior Consultant Nephrology in Indraprastha Apollo Hospital, New Delhi. He had successfully treated more than 2000 renal Tx as Nephrologist including cadaveric and live related Tx. His major objective is to proffer best treatments to his patients and to provide him a healthy and normal life. Dr. D K Agarwal is a specialized Nephrologist and also efficiently providing CAPD and an appropriate diet plan by understanding the different dietary requirements of his patients.